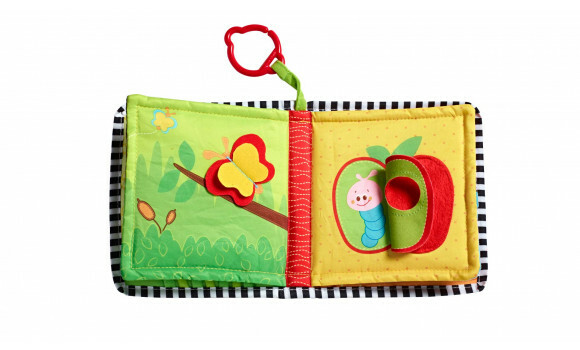 Soft book with easy-to-attach ring for on-the-go use. 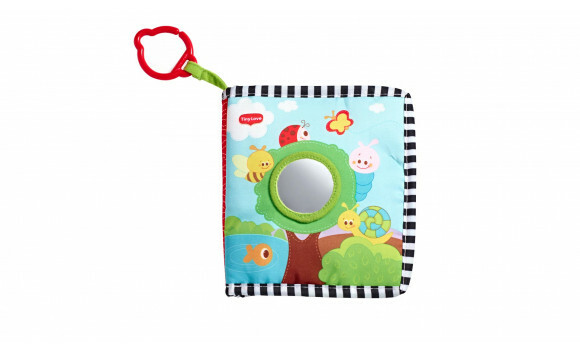 Packed with various textures, colors and sounds: crinkly paper, mirror, rattle, teether and peek-a-boo elements. Babies adore playing peek-a-boo. 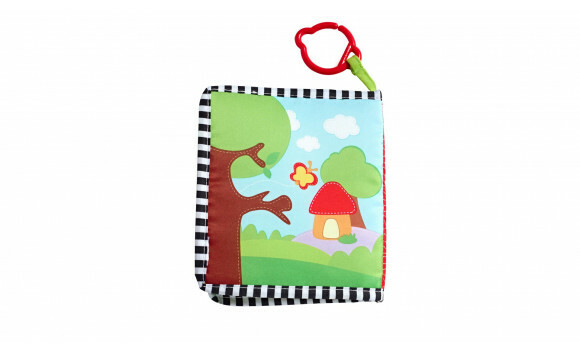 Use the various Where Do I Live Book activities to play peek-a-boo with baby. 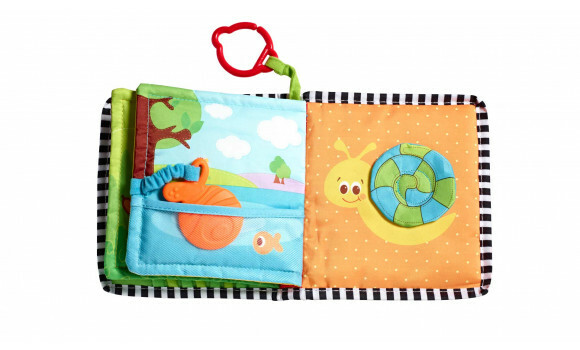 Alternatively, let him explore the book by himself while lying on his back or tummy. 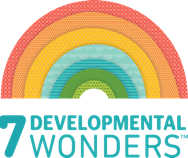 The book encourages fun interaction and bonding between you and your baby. 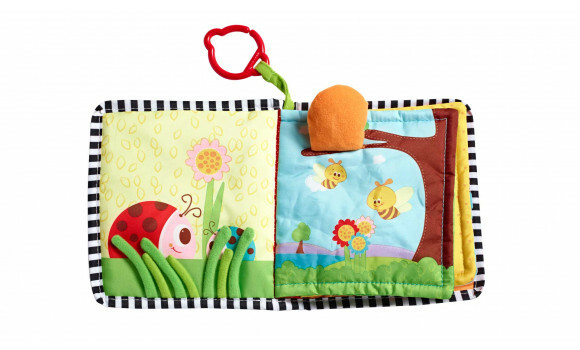 This interaction plays an important role in the process of sensory regulation and helps baby focus his attention. 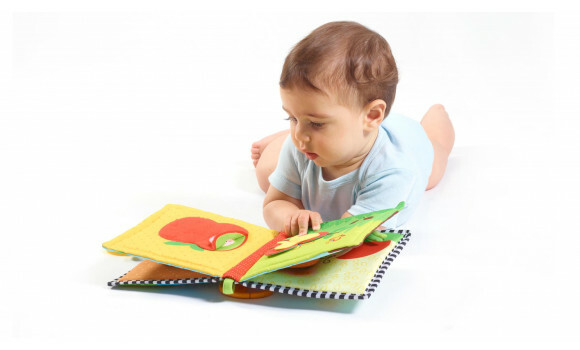 Engage baby in a verbal tale while flipping through the stimulation-filled pages. It will help you communicate the story to her and create fun, lovable moments. This book is great for learning bugs!